Australia Service Agreements. Lawyer Prepared. Contracts used when hiring a computer consultant, web designer or an individual to maintain a website. Dog Walking Services Agreement (Australia) This Dog Walking Services Agreement is designed for use in Australia. This legal form is available for immediate download. General Service Agreement (Australia) General Service Agreement for use in Australia. Horseback Riding Lessons Contract and Liability Release (Australia) This Horseback Riding Lessons Contract and Liability Release is designed for use in Australia. This form is ready for immediate download. Service Agreement - Athletic Trainer (Australia) This Athletic Training Services Agreement is designed for use in Australia. This form is available for immediate download. Service Agreement - Bookkeeping (Australia) This Bookkeeping Services Agreement is designed for use in Australia. This form is ready for immediate download. Service Agreement - Child Care (Australia) This Child Care Services Agreement is designed for use in Australia. This legal form is available for immediate download. Service Agreement - Clerical and Administrative (Australia) This Clerical and Administrative Services Agreement is designed for use in Australia. This legal form can be immediately downloaded. Service Agreement - Consultant (Australia) This Consulting Services Agreement is designed for use in Australia. This form is available for immediate download. Service Agreement - Cooking School Lessons (Australia) This Cooking School Lessons Agreement is designed for use in Australia. This form is available for immediate download. Service Agreement - Disc Jockey (Australia) Disc Jockey Service Agreement for use in Australia. Service Agreement - Fitness Training and Services (Australia) This Fitness Training and Services Agreement is designed for use in Australia. This form is available for immediate download. Service Agreement - Florist (Australia) Florist's Services Agreement for use in Australia. Service Agreement - Gardening (Australia) Gardening Services Agreement for use in Australia. Service Agreement - General Band (Australia) This General Band Service Agreement is designed for use in Australia. This legal form is available for immediate download. Service Agreement - House Cleaning (Australia) House Cleaning Services Agreement for use in Australia. Service Agreement - Information Technology (Australia) This Information Technology Services Agreement is designed for use in Australia. This legal form is readily available for download. Service Agreement - Janitorial (Australia) Janitorial Cleaning Services Agreement for use in Australia. Service Agreement - Livery Yard/ Boarding Stable (Australia) This Livery Yard Agreement is designed for use in Australia. This form is available for immediate download. Service Agreement - Makeup Artist (Australia) This Makeup Artist Service Agreement is designed for use in Australia. This form is available for immediate download. Service Agreement - Messenger (Australia) A Messenger Services Agreement for use in Australia. This agreement sets forth the terms and conditions between a client and a messenger or messenger service. Service Agreement - Mover (Australia) Moving Services Agreement for use in Australia. Service Agreement - Pest Control (Australia) Pest Control Service Agreement for use in Australia. This agreement sets forth the terms and conditions of the arrangement between the parties. Service Agreement - Photographer (Australia) Photography Services Agreement for use in Australia. Perfect for weddings and other events! Service Agreement - Pool Cleaning (Australia) Swimming Pool Service Agreement for use in Australia. Service Agreement - Referee / Umpire (Australia) Referee / Umpire Service Agreement for use in Australia. Service Agreement - Residential Interior Design (Australia) This Residential Interior Design Agreement is designed for use in Australia. This legal form is available for immediate download. Service Agreement - Security Guard (Australia) Security Guard Services Agreement for use Australia. Service Agreement - Technical/Scientific Writing (Australia) This Technical/Scientific Writing Services Agreement is designed for Australia. 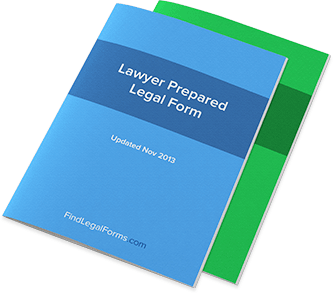 This legal form is accessible for immediate download. Service Agreement - Translator (Australia) Translation Services Agreement for use in Australia. Service Agreement - Videographer (Australia) This Videography Services Agreement is designed for use in Australia and available for immediate download. Service Agreement - Wedding Band (Australia) This Wedding Band Services Agreement is created for use in Australia. This legal form is available for immediate download. Service Agreement - Window Cleaning (Australia) A Window Cleaning Agreement for use in Australia. This agreement sets forth the terms and conditions between a client and a window cleaning contractor. Services Amendment Agreement (Australia) Amendment to Services Agreement for use in Australia. This kit is designed to assist you in drafting an amendment to an existing services agreement. Website Design Agreement (Australia) This Website Design Agreement is designed for use in Australia. This form is available for immediate download. Catering Service Agreement (Australia) Caterer Service Agreement for use in Australia. Service Agreement - Bakery / Cake Design (Australia) Bakery/Cake Design Services Agreement for use in Australia. Website Maintenance Agreement (Australia) This Website Maintenance Agreement is designed for use in Australia. This legal form is available for immediate download. Services Agreement - Tutoring / Adult (Australia) Tutoring services agreement (for adults) for use in Australia. Services Agreement - Tutoring / Child (Australia) This Tutoring Services Agreement (Child) is designed for use in Australia. This form is available for immediate download. Household Services Agreement Forms Combo (Australia) Get 10 forms for just $59.95. Save 60%! This Household Services Agreement Forms Combo is designed for use in Australia. This combo package is available for immediate download.